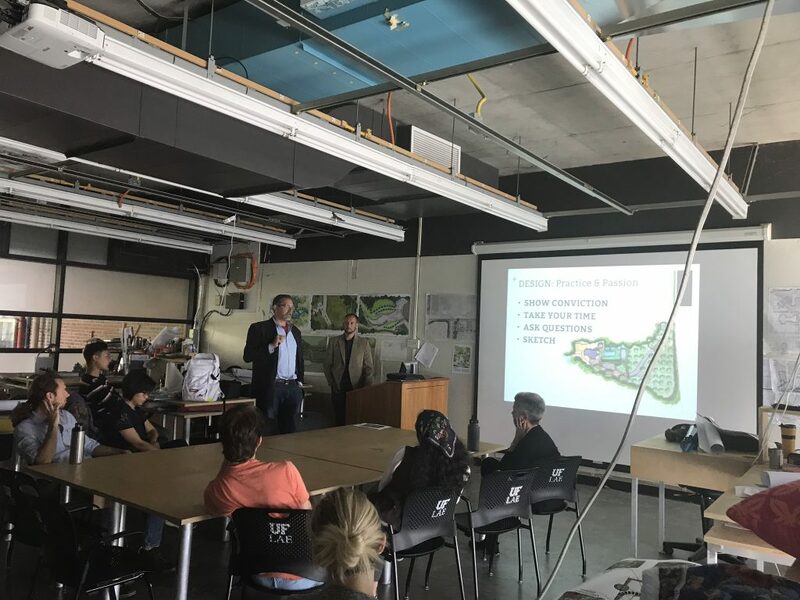 Back to the (Collegiate) Drawing Board - Michael A. Gilkey, Inc.
Michael and Gavin enjoyed spending last Friday with the students in the Department of Landscape Architecture at the University of Florida, their alma mater. Michael was invited to give a presentation entitled “Design: The Process and the Practice,” which articulated the steps we execute at Michael A. Gilkey, Inc. to synthesize the information each project brings to the table, and to translate that synthesis into a creative solution. Michael then presented three very different projects we have completed over the last few years to illustrate these concepts to the students. 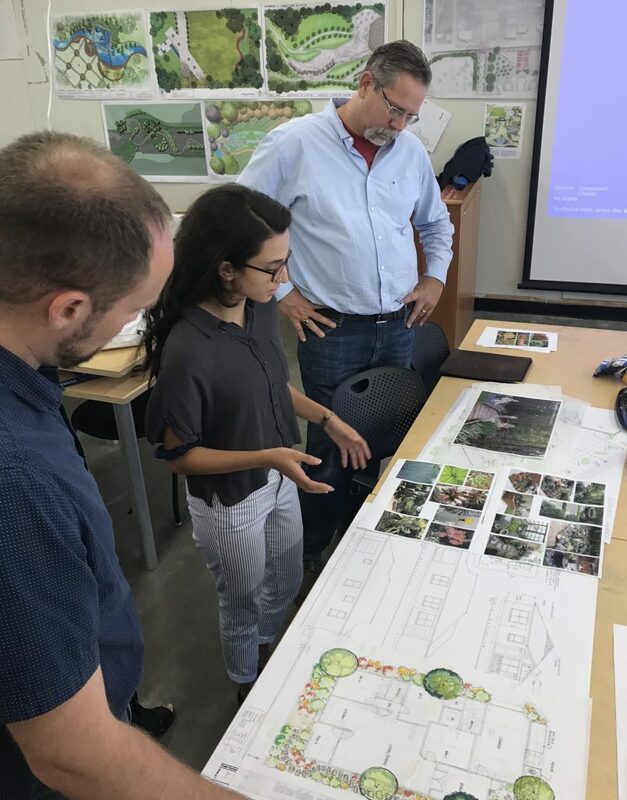 After the presentation, Michael and Gavin spent several hours of one-on-one time with the students in Professor Michael Volk’s Planting Design Studio, offering individualized and group feedback on a community housing project the third year students are currently working on. 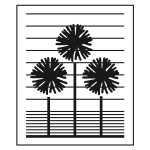 Our firm has supported The University of Florida Department of Landscape Architecture for many years, through a scholarship program awarding students for their love and commitment to the profession. 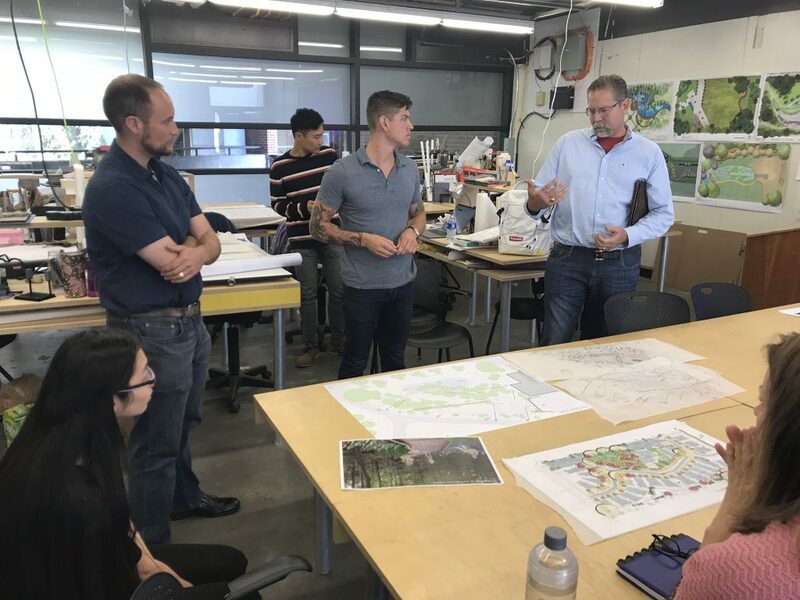 It was a treat for Michael and Gavin to continue to celebrate Landscape Architecture Month with a return to their collegiate studio, and a discussion of design with the landscape architects of tomorrow.